This is the explosively page-turning new novel for teenagers from the author of the award-winning “Noughts and Crosses” sequence. You’re about to receive your A-level results and then a future of university and journalism awaits. But the day they’re due to arrive your old girlfriend Melanie turns up unexpectedly …with a baby …You assume Melanie’s helping a friend, until she nips out to buy some essentials, leaving you literally holding the baby …Malorie’s dramatic new novel will keep you on the edge of your seat right to the final page. Dante. Adam and his story. Let’s hear it for the boys! Daddies. Different perspectives. Acceptance. Sleepless nights. Walks in the park. Taking responsibilities. Hiccupping hearts. ”Just bringing up wind.”. Living life out loud. I would really have loved to see more of the social implications that Dante faced. What was covered- his friend’s reactions, the social workers, the exchange in the doctor’s surgery- was done incredibly well but I just think having a bit more of an insight into those side of things would have made it even more realistic than it was. Sometimes I felt like these things were overlooked for the bigger picture and eclipsed by other issues that feature later on in the story. I didn’t know Bruce Springsteen was starting his own baby-sitting club…. First up, I just have to say how refreshing it was to read a book about teenage pregnancy from the boy’s perspective. Whether it’s on TV, in books or even in the news, people assume that the dads always do a runner. I’m not saying it doesn’t happen, but it doesn’t always happen. The dads who stick around never seemed to get mentioned and they’re all painted with the same brush, so it was really great to read a story from a perspective that gets ignored too often. Oh Dante, you poor little lamb. If I had found out that I’d had a child on the day I got my A-Level results (not entirely sure how that would’ve worked) I would have been a jibbering wreck. And you should’ve seen me sans unexpected child; it wasn’t pretty, I assure you. What I loved most about the character of Dante was that he went through a true learning curve and not just in how to look after an eleven month year old girl. This book is a crash course in learning to be selfless, learning to be compassionate, learning that life doesn’t always go as planned and learning to take responsibility for your own actions. In the hands of another author, this story could have stumbled blindly into the preachy trap, but it never did. I never felt like I was being lectured or that she was making a political statement about the levels of teenage pregnancy in modern day Britain. It’s always so satisfying to see a character start off a bit unlikeable and completely useless and watch as they mature and learn from their mistakes with little to no whinging. I hate characters who start off perfect and end just as perfect, where’s the fun in that? Also, Dante’s a brilliant big brother. But I’m not saying anything else about that for fear I will cry The Ugly Cry. I have so much love for this lot. I love how they interacted because it felt natural and funny without being forced. They had their problems and their skeletons in their closets but you could tell that they all really cared for each other and it was really special to read. Also, Aunt Jackie was a firecracker. I have to do it and I’m not even sorry. If a song mentions the author then it’s pretty much a given it’s going to be the theme tune, right? Written in the Stars by Tinie Tempah ft Eric Turner. Because I’m a ridiculous person. But anyway, I don’t care because I have a lot of time for Mr Tempah and his crazy sun protectors. Also, this one is for Adam. I think a lot of people will be put off from reading this book because it seems like it could either be an “Issue Book” or full of LOLZ and so many hilarious stories that Selleck, Danson and Guttenburg will be hammering on your door so they can get in on the action. And even though it does deal with issues and it is full of LOLZ and hilarious stories, it’s so much deeper than that. 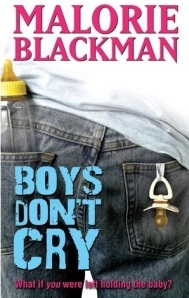 In this book, Ms Blackman has created a story that is just as much about being male in modern day Britain, what it takes to be masculine, taking responsibility for your actions, family and, above all, staying true to yourself. People are looking for a book that offers a different and fascinating perspective on an, arguably, overdone subject. People are looking for a book where the boys take over. People who are reluctant to take their Beyonce posters down. People who want to live their life out loud. I have this on my tbr and I really want to read it because Blackman is one of my favourite all time authors but I keep putting it off. I'm not sure why… I'm going to kick myself up the arse right now though and start it soon I promise! great review! « A Highly Intelligent Article.